Old Time Radio comes to life again... right at your game table! 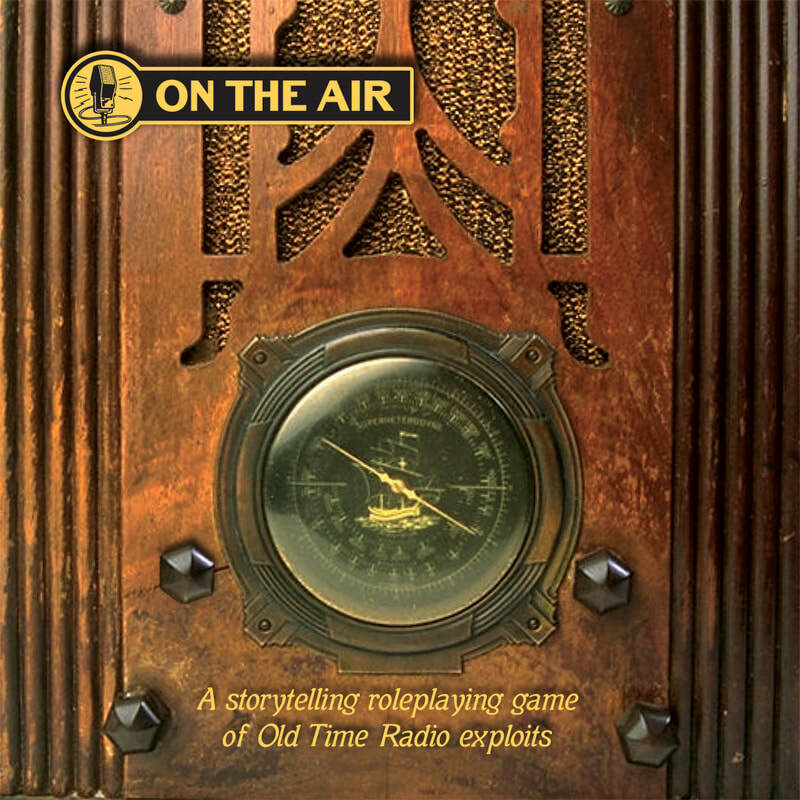 On the Air is a storytelling RPG that faithfully emulates the action, excitement and mystery found in the radio programs of the 1930s and '40s. Construct a series, create a sponsor, whip up characters and you're ready to play. Once the series is created, very little prep time is required to play the game, thanks to the narrative structure of the Intention System. Get ready to engage in an all-new way of narrating your character's actions... and don't forget to promote your sponsor's products to earn the all-important Sponsorship Token! Each episode is allowed only a certain number of die rolls in order to depict the tight time restraints of those old programs, so you'd better make every action count! On the Air is best enjoyed by one Director and between one and three players. You'll need d4s, d6s and d8s. Here's what people are saying about On the Air!